No need to chose between style and comfort in this low heeled tailored shoe. 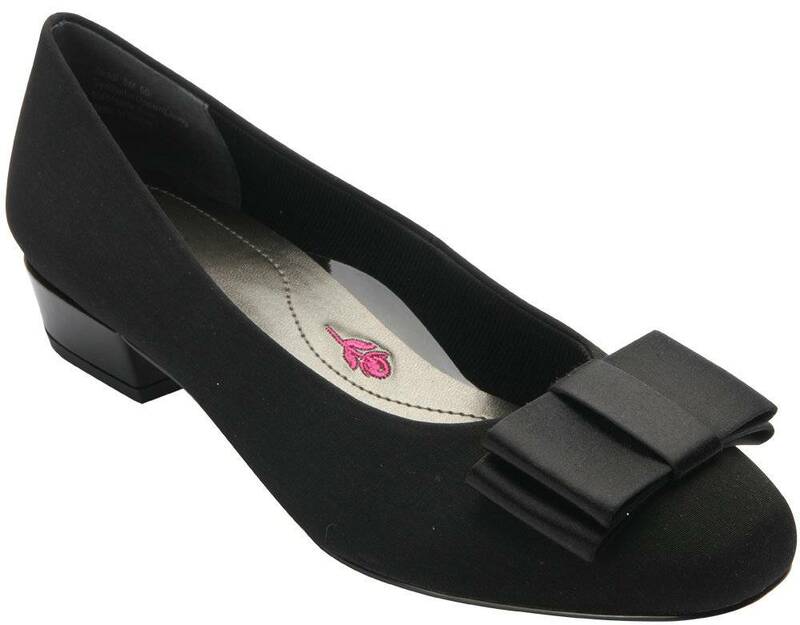 The Ros Hommerson® Teddi offers a beautifully detailed upper with a large, sophisticated bow. The Drilex Lining will draw away moisture, while the foot sits comfortably on the go.